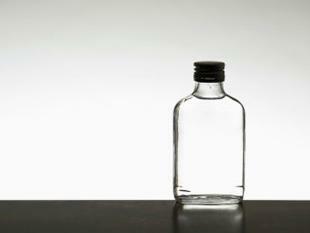 While companies such as Diageo, Pernod Ricard and Radico Khaitan have for long been selling 60-ml miniatures of their liquor brands in places like airports mainly for convenience, the demand for such bottles has gone up significantly in recent times as scores of consumers look to upgrade using them as trial, while some others see them as a pocket-friendly quick drink. “Small pack is a great way to encourage trials, especially for uninitiated consumers through wine shops and trade,” Bhavesh Somaya, marketing director at Diageo India, said. He said miniature packs across its portfolio are mostly sold to recruit new consumers and that these mini-bottles’ contribution to Smirnoff vodka sales has increased by 10-15 % in the last two years. Some four-million new consumers are estimated to enter the western-style liquor market in India every year. Also, with social drinking slowly becoming a part of urban life, many people are constantly looking to upgrade to premium spirits. Such customers tend to try out miniatures before deciding on what brand they want to stick to. Companies also feel small packs encourage purchases of multiple products at once, giving drinkers a host of variety.